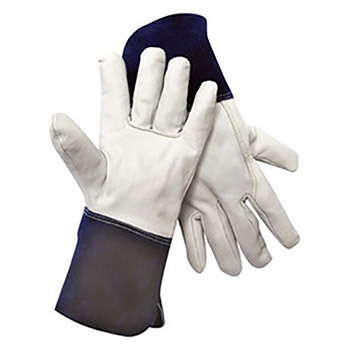 Premium grade grain goatskin mig tig welders gloves with excellent dexterity and long lasting abrasion resistance, these welders are made of premium grade grain goatskin. Gunn cut gloves feature a wing thumb and 4" split cowhide gauntlet cuff. Ideal for MIG TIG welding application, they're sewn with Dupont Kevlar thread. Sold per pair.